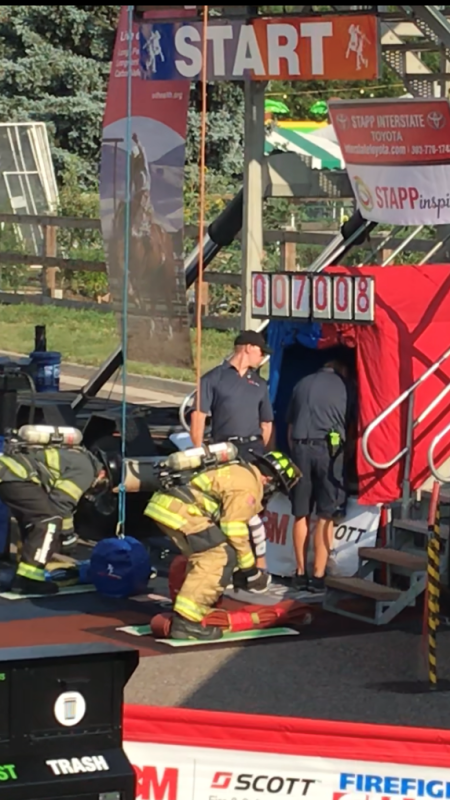 This past weekend, I travelled to Colorado to participate in the Scott Firefighter Combat Challenge. Wow ... the most physically demanding thing I've ever done! But I finished! Thank you to the veteran participants who took me under their wing and gave me some tips and encouragement that helped me complete it.